It is known that Bollywood super hit film 'Queen' starring Kangana Ranaut is now getting remade in four different South languages and milky beauty Tamannaah is playing the lead in the Telugu version of the film. 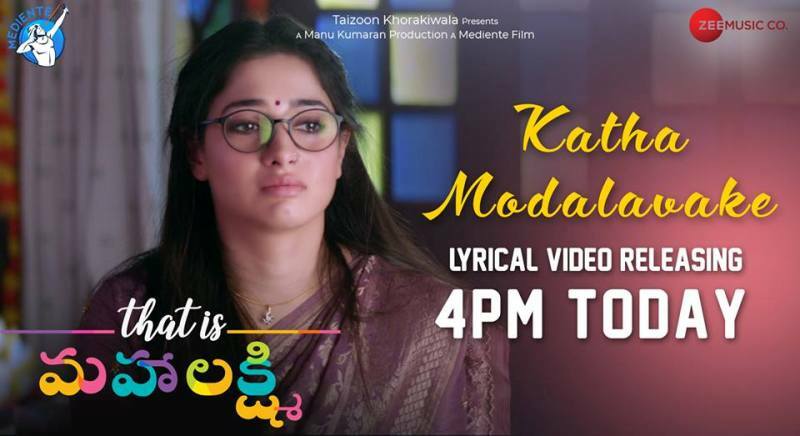 The movie has been carrying a decent pre-release buzz and today, the makers have unveiled the lyrical video of song 'Katha Modalavake'. The 4 minute 1 second videos also showcase some visuals from the film in the backdrop. It seems like the song will come when the lead character's marriage breaks. The pleasant music by Amit Trivedi is really good. The beautiful rendition of Shreya Ghoshal and Sathya Prakash added more beauty for the song. The lyrics penned by Krishna Kanth are pretty good. Manu Kumaran is bankrolling this project under Mediente Films banner. Taizoon Khorakiwala is presenting this film. The release date of the film is yet to be announced.